Note: Ireland is not a current nation and should therefore not be shown in the "nation" field of any event documented on a "facts" page or on any category involving migration. The correct nation name - "Republic of Ireland" or "United Kingdom" - should be ascertained if possible from the locality or county name. "Ireland" may be shown in the "Other place(s)" field. This article is about the island. For the sovereign state of the same name, see Republic of Ireland. For the part of the United Kingdom, see Northern Ireland. For other uses, see Ireland (disambiguation). 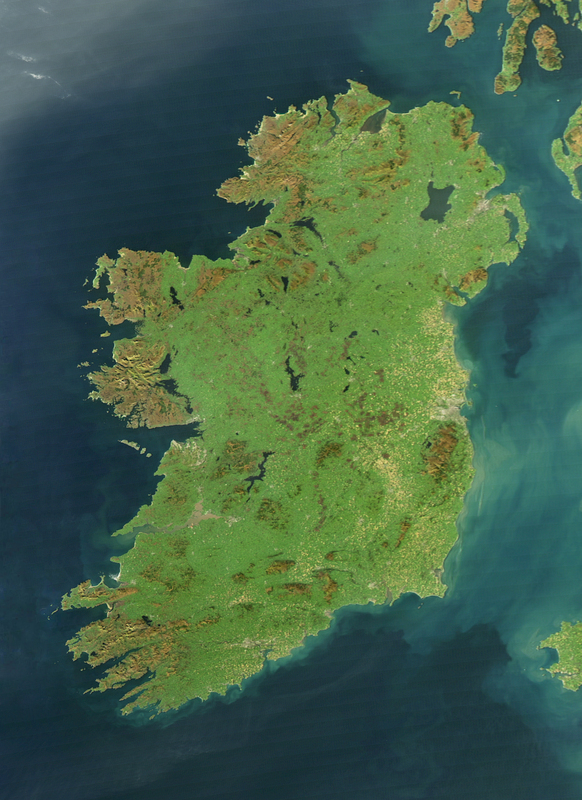 Satellite photograph of Ireland. The Atlantic Ocean is to the west, the Celtic Sea is to the south and the Irish Sea is to the east. listen); Ulster-Scots: Airlann or Airlan) is an island to the north-west of continental Europe. It is the third-largest island in Europe and the twentieth-largest island on Earth. To its east is the larger island of Great Britain, from which it is separated by the Irish Sea. The island's geography comprises relatively low-lying mountains surrounding a central plain, with several navigable rivers extending inland. The island has lush vegetation, a product of its mild but changeable oceanic climate, which avoids extremes in temperature. Thick woodlands covered the island until the 17th century. Today, it is one of the most deforested areas in Europe. There are twenty-six extant mammal species native to Ireland. Irish culture has had a significant influence on other cultures, particularly in the fields of literature and, to a lesser degree, science and education. Alongside mainstream Western culture, a strong indigenous culture exists, as expressed for example through Gaelic games, Irish music, and the Irish language. The culture of the island has also many features shared with Great Britain, as expressed through sports such as soccer, rugby, horse racing, and golf, as well as the English language. Most of Ireland was covered with ice until the end of the last ice age over 9,000 years ago. Sea levels were lower and Ireland, like Great Britain, was part of continental Europe. Mesolithic stone age inhabitants arrived some time after 8,000 BC and agriculture followed with the Neolithic Age around 4,500 to 4,000 BC. The Iron Age in Ireland is traditionally associated with people known as the Celts. The Celts were commonly thought to have colonised Ireland in a series of invasions. The first Celtic-speaking tribes are believed to have arrived on the island about 600 B.C. in what is referred to as the Hallstatt era Other colonists followed them, the main thrust arriving in the later La Tene era sometime between the third and first centuries B.C. They came from neighboring Britain, Gaul and Iberia: tribes from two main stems of the Continental Celts—the Belgae originating in northern Gaul and the Gael from southern Gaul and the northern seaboard of the Iberian Peninsula. Historically four separate Celtic incursions into are deemed to have occurred in Ireland, The Priteni were the first to colonize the island, followed by the Belgae who invaded Ireland from northern Gaul and Britain. Later, Laighin tribes from Armorica (present-day Brittany) are believed to have invaded Ireland and Britain more or less simultaneously. Lastly, the Milesians (Gaels) reached Ireland from either northern Iberia or southern Gaul. The Priteni tribes (Ireland and Britain were known to the early Greeks as the Pritenic Islands) are believed to have arrived some time after 700 B.C. Their origin as Celts is questionable; according to some sources they were more likely to have been the descendants of the earlier Neolithic indigenous inhabitants of the island. Probably, they were a mixture of both. The second wave, the Euerni,belonging to the Belgae people of northern Gaul, began arriving about the sixth century B.C. They called their new home Eueriio, which would later evolve through the old Irish Eriu to Eire to Ireland. The third wave of colonization is believed to have taken place sometime about 300 B.C. They were the Laginians or, according to their own tradition, Gauls who came to Ireland from Armorica. Their name association with Laighi, the ancient name for Leinster, suggests that this was where they first settled. Another branch of the same people was the Galioin (or Gailenga) who settled in an area north of Dublin and Meath The last major Celtic settlement in Ireland is believed to have taken place sometime between 150–50 B.C. These people have been identified as the Milesians (Sons of Mil, or Gaels) who, according to tradition, fled Roman incursions into northern Iberia and southern Gaul. These were Iron Age Celts and their dominance over the island was to last well over a thousand years. The Gaels, the last wave of Celts, were said to have divided the island into five or more kingdoms after conquering it. However, most academics favour a theory that emphasises the diffusion of culture from overseas as opposed to a military colonisation. Finds such as Clonycavan Man are given as evidence for this theory. The earliest written records of Ireland come from classical Greco-Roman geographers. Ptolemy in his Almagest refers to Ireland as Mikra Brettania (Little Britain), in contrast to the larger island, which he called Megale Brettania (Great Britain). In his later work, Geography, Ptolemy refers to Ireland as Iouernia and to Great Britain as Albion. These "new" names were likely to have been the Celtic names for the islands at the time. The earlier names, in contrast, were likely to have been coined before direct contact with local peoples was made. The Romans would later refer to Ireland by this name too in its Latinised form, Hibernia, or Scotia. Ptolemy records sixteen tribes inhabiting every part of Ireland in 100 AD. The relationship between the Roman Empire and the tribes of ancient Ireland is unclear. However, a number of finds of Roman coins have been found, for example at Newgrange. The title of King of Ireland was re-created in 1542 by Henry VIII, then King of England, of the Tudor dynasty. English rule of law was reinforced and expanded in Ireland during the latter part of the 16th century leading to the Tudor conquest of Ireland. A near complete conquest was achieved by the turn of the 17th century, following the Nine Years' War and the Flight of the Earls. This control was further consolidated during the wars and conflicts of the 17th century, which witnessed English and Scottish colonisation in the Plantations of Ireland, the Wars of the Three Kingdoms and the Williamite War. Irish losses during the Wars of the Three Kingdoms (which, in Ireland, included the Irish Confederacy and the Cromwellian conquest of Ireland) are estimated to include 20,000 battlefield casualties. 200,000 civilians are estimated to have died as a result of a combination of war-related famine, displacement, guerrilla activity and pestilence over the duration of the war. A further 50,000[Note 2] were sent to slavery in the West Indies. Some historians estimate that as much as half of the pre-war population of Ireland may have died as a result of the conflict. The Great Famine of the 1840s caused the deaths of one million Irish people and over a million more emigrated to escape it. By the end of the decade, half of all immigration to the United States was from Ireland. The period of civil unrest that followed until the end of the 19th century is referred to as the Land War. Mass emigration became deeply entrenched and the population continued to decline until the mid-20th century. Immediately prior to the famine the population was recorded as 8.2 million by the 1841 census. The population has never returned to this level since. The population continued to fall until 1961 and it was not until the 2006 census that the last county of Ireland (County Leitrim) to record a rise in population since 1841 did so. The failed Easter Rising of 1916 was carried out by the latter group in alliance with a smaller socialist militia, the Irish Citizen Army. The British response, executing fifteen leaders of the Rising over a period of ten days and imprisoning or interning more than a thousand people, turned the mood of the country in favour of the rebels. Support for Irish republicanism increased further due to the ongoing war in Europe, as well as the Conscription Crisis of 1918. The pro-independence republican party, Sinn Féin, received overwhelming endorsement in the general election of 1918, and in 1919 proclaimed an Irish Republic, setting up its own parliament (Dáil Éireann) and government. Simultaneously the Volunteers, which became known as the Irish Republican Army (IRA), launched a three-year guerrilla war, which ended in a truce in July 1921 (although violence continued until June 1922, mostly in Northern Ireland). Further information: For the agreement establishing a number of all-island institutions, see Good Friday Agreement. For the political institutions of the two jurisdictions separately, see Politics of the Republic of Ireland and Demography and politics of Northern Ireland. The offices of the North/South Ministerial Council on Upper English Street, Armagh. The council moved into this new building in April 2010. Despite the two jurisdictions using two distinct currencies (the Euro and Pound Sterling), a growing amount of commercial activity is carried out on an all-island basis. This has been facilitated by the two jurisdictions' shared membership of the European Union, and there have been calls from members of the business community and policymakers for the creation of an "all-island economy" to take advantage of economies of scale and boost competitiveness. One area in which the island already operates as a single market is electricity. Green pasture in County Down, with the Mourne Mountains in the background. Ireland's largest religious group is Christianity. The largest denomination is Roman Catholicism representing over 73% for the island (and about 87% of the Republic of Ireland). Most of the rest of the population adhere to one of the various Protestant denominations (about 48% of Northern Ireland). The largest is the Anglican Church of Ireland. The Muslim community is growing in Ireland, mostly through increased immigration. The island has a small Jewish community. About 4% of the Republic's population and about 14% of the Northern Ireland population describe themselves as of no religion. In a 2010 survey conducted on behalf of the Irish Times, 32% of respondents said they went to a religious service more than once a week. Emigration from Ireland in the 19th century contributed to the populations of England, the United States, Canada and Australia where today a large Irish diaspora lives. Today 4.3 million Canadians, or 14% of her population, are of Irish descent. A total of 36 million Americans claim Irish ancestry – more than 12% of the total population and 20% of the white population. Massachusetts is the most Irish of US states with 23.8% of the population claiming Irish ancestry. The pattern of immigration over this period particularly devastated the western and southern seaboards. Prior to the Great Famine, the provinces of Connacht, Munster and Leinster were more or less evenly populated whereas Ulster was far less densely populated than the other three. Today, Ulster and Leinster, and in particular Dublin, have a far greater population density than Munster and Connacht. The Republic of Ireland in particular has seen large-scale immigration. The 2006 census recorded that 420,000 foreign nationals, or about 10% of the population, lived in the Republic of Ireland. A quarter of births (24 percent) in 2009 were to mothers born outside of Ireland. Chinese and Nigerians, along with people from other African countries, have accounted for a large proportion of the non–European Union migrants to Ireland. Up to 50,000 eastern and central European migrant workers may have left Ireland since the end of 2008. Irish traditional music and dance has seen a recent surge in popularity, not least through the phenomenon of Riverdance, a theatrical performance of Irish traditional dancing. In the middle years of the 20th century, as Irish society was modernising, traditional music fell out of favour, especially in urban areas. During the 1960s, inspired by the American folk music movement, there was a revival of interest in Irish traditional music led by groups such as The Dubliners, The Chieftains, Emmet Spiceland, The Wolfe Tones, the Clancy Brothers, Sweeney's Men and individuals like Seán Ó Riada and Christy Moore. Gaelic football is the most popular sport in Ireland in terms of match attendance and community involvement, with about 2,600 clubs on the island. In 2003 it represented 34% of total sports attendances at events in Ireland and abroad, followed by hurling at 23%, soccer at 16% and rugby at 8% and the All-Ireland Football Final is the most watched event in the sporting calendar. Soccer is the most widely played team game on the island, and the most popular in Northern Ireland. Swimming, golf, aerobics, soccer, cycling, Gaelic football and billiards/snooker are the sporting activities with the highest levels of playing participation. The sport is also the most notable exception where the Republic of Ireland and Northern Ireland field separate international teams. In recent years ice hockey has seen an increase in popularity, notably with the Belfast Giants ice hockey team in Northern Ireland. Northern Ireland have also produced two World Snooker Champions. Many other sports are also played and followed, including basketball, boxing, cricket, fishing, greyhound racing, handball, hockey, horse racing, motor sport, show jumping and tennis. Ireland has won more medals in boxing than in any other Olympic sport. Boxing is governed by the Irish Amateur Boxing Association. Michael Carruth won a gold medal in the Barcelona Olympic Games and in 2008 Kenneth Egan won a silver medal in the Beijing Games. Paddy Barnes secured bronze in those games and gold in the 2010 European Amateur Boxing Championships (where Ireland came 2nd in the overall medal table) and 2010 Commonwealth Games. Katie Taylor has won gold in every European and World championship since 2005. In August 2012 at the Olympic Games in London Katie Taylor created history by becoming the first Irish woman to win a gold medal in boxing in the 60 kg lightweight. ^ "The World Factbook". Central Intelligence Agency (USA). 27 November 2009. https://www.cia.gov/library/publications/the-world-factbook/geos/ei.html. Retrieved 2010-01-01. ^ Nolan, William. "Geography of Ireland". Government of Ireland. http://www.gov.ie/en/essays/geography.html. Retrieved 11 November 2009. ^ "Largest Islands of the World". WorldIslandInfo. http://www.worldislandinfo.com/LARGESTV1.html. Retrieved 5 December 2012. ^ (2003-08-07) "How did pygmy shrews colonize Ireland? Clues from a phylogenetic analysis of mitochondrial cytochrome b sequences". Proceedings of the Royal Society 270 (1524): 1593–9. DOI:10.1098/rspb.2003.2406. PMID 12908980. ^ (March 2008) "Ptolemy's Map of Ireland: a Modern Decoding". Irish Geography 14 (1): 49–69. DOI:10.1080/00750770801909375. Patrick Francis Moran (1913). "St. Palladius". Catholic Encyclopedia. New York: Robert Appleton Company. ^ Curtis, Edmund (2002). A History of Ireland from Earliest Times to 1922. New York: Routledge. p. 49. ISBN 0-415-27949-6. ^ Edwards, Ruth et al (2005). An Atlas of Irish History. Routledge. p. 106. ISBN 978-0-415-33952-0. ^ Hosler, John D. (2007). Henry II: A Medieval Soldier at War, 1147–1189. Brill Academic Publishers. p. 239. ISBN 978-90-04-15724-8. ^ Bolton, Brenda et al (2003). Adrian IV, the English Pope, 1154–1159: Studies and Texts. Ashgate Publishing. p. 149. ISBN 978-0-7546-0708-3. ^ Foster, Robert Fitzroy (1989). Modern Ireland. Penguin. p. 107. ISBN 978-0-14-013250-2. "'slave-hunts' certainly happened, though their extent has been exaggerated; there were probably 12,000 Irish in the West Indies by the late 1600s"
^ a b c Ó Gráda, Cormac (1989). The Great Irish Famine. Cambridge: Cambridge University Press. p. 12. ISBN 0-521-55266-4. ^ a b Clarkson, Leslie; Crawford, Margaret (2001). Feast and Famine: Food and Nutrition in Ireland, 1500–1920. Oxford: Oxford University Press. p. 274. ISBN 0-19-822751-5. ^ a b Ward, Alan J. (1994). The Irish Constitutional Tradition: Responsible Government and Modern Ireland, 1782–1992. Washington, DC: Catholic University of America Press. p. 28. ISBN 0-8132-0784-3. ^ O'Grada, Cormac (1994). Ireland: A New Economic History, 1780–1939. Oxford University Press. pp. 314–330. ISBN 978-0-19-820598-2. http://books.google.com/?id=LamjgLbhTvwC&pg=PA314&dq=ireland+failed+to+industrialize+due+to+lack+of+coal+and+iron&cd=1#v=onepage&q=ireland%20failed%20to%20industrialize%20due%20to%20lack%20of%20coal%20and%20iron. ^ Keating, Paul; Desmond, Derry (1993). Culture and Capitalism in Contemporary Ireland. Hants, UK: Avebury. p. 119. ISBN 1-85628-362-3. ^ Jacobsen, John (1994). "Chasing Progress in the Irish Republic". ^ Mokyr, Joel (1983). "Why Ireland Starved: A Quantitative and Analytical History of the Irish Economy, 1800–1850". ^ Kee, Robert (1972). The Green Flag: A History of Irish Nationalism. London: Weidenfeld and Nicholson. pp. 376–400. ISBN 0-297-17987-X. ^ a b Kee, Robert (1972). The Green Flag: A History of Irish Nationalism. London: Weidenfeld and Nicholson. pp. 478–530. ISBN 0-297-17987-X. ^ a b Morough, Michael (December 2000). "History Review": 34–36. ^ Kee, Robert (1972). The Green Flag: A History of Irish Nationalism. London: Weidenfeld and Nicholson. pp. 719–748. ISBN 0-297-17987-X. ^ Gwynn, Stephen (January 1934). "Ireland Since the Treaty". Foreign Affairs 12 (2). ^ Clancy, Patrick; Sheelagh Drudy, Kathleen Lynch, Liam O'Dowd (1997). Irish Society: Sociological Perspectives. Institute of Public Administration. pp. 68–70. ISBN 1-872002-87-0. ^ Schmied, Doris (2005). Winning and Losing: the Changing Geography of Europe's Rural Areas. Chippenham, UK: Ashgate. p. 234. ISBN 0-7546-4101-5. ^ OECD (2009-09-02). "The Future of International Migration to OECD Countries". ^ Pogatchnik, Shawn (25 March 2010). "Ireland's Economy Suffered Record Slump in 2009". Retrieved on 2010-04-06. ^ Taylor, Peter (1997). Provos: The IRA and Sinn Féin. London: Bloomsbury Publishing Plc. pp. 33–56. ISBN 0-7475-3392-X. ^ Taylor, Peter (1997). Provos: The IRA and Sinn Féin. London: Bloomsbury Publishing Plc. pp. 56–100. ISBN 0-7475-3392-X. ^ Nieminen, Brigadier Tauno; General John de Chastelain, Andrew D. Sens. "Independent International Commission on Decommissioning" (PDF). http://cain.ulst.ac.uk/events/peace/decommission/iicd190106.pdf. Retrieved 2008-10-15. ^ "Frequently Asked Questions". osi.ie. Ordnance Survey of Ireland. http://www.osi.ie/Frequently-Asked-Questions.aspx. Retrieved 2012-04-04. ^ Shannon, Pat; Haughton, P.D.W. 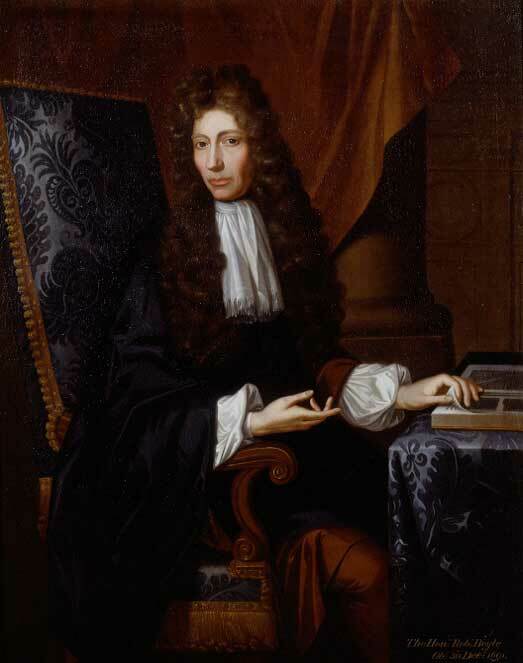 ; Corcoran, D.V. (2001). The Petroleum Exploration of Ireland's Offshore Basins. London: Geological Society. p. 2. ISBN 1-4237-1163-7. ^ a b Guiry, M.D. (2001). "The Marine Macroalgae of Ireland: Biodiversity and Distribution in Marine Biodiversity in Ireland and Adjacent Waters". Proceedings of a Conference 26–27 April 2001 (Publication No. 8). ^ a b "Statistical Classification and Delineation of Settlements". Northern Ireland Statistics and Research Agency. February 2005. http://www.nisra.gov.uk/archive/demography/publications/urban_rural/ur_gaz.pdf. ^ "24% of boom births to 'new Irish'". Irish Examiner. June 28, 2011. http://www.irishexaminer.com/breakingnews/ireland/24-of-boom-births-to-new-irish-510651.html. ^ Spolsky, Bernard (2004). Language policy. Cambridge: Cambridge University. p. 191. ISBN 0-521-01175-2, 9780521011754. ^ Houston, Eugenie (2001). Working and Living in Ireland. Working and Living Publications. p. 253. ISBN 0-9536896-8-9. ^ Butler, Jean; Edited by Andrew Higgins Wyndham (2006). Re-imagining Ireland: Re-imageing Irish Dance. Virginia: University of Virginia Press. p. 141. ISBN 0-8139-2544-4. http://books.google.com/?id=Oo-u0p31yjQC. ^ Moore, Christy (2000). One Voice: My Life in Song. Hodder and Stoughton/Lir. ISBN 0-340-76839-8. ^ O'Kelly, Michael J.; O'Kelly, Claire (1982). Newgrange. Archaeology Art and Legend. London: Thames and Hudson. ISBN 978-0-500-27371-5. http://books.google.com/?id=bGiMHQAACAAJ. ^ Waller, Professor I. (1951). "Nobel Prize in Physics 1951 - Presentation Speech". Nobel Prize. http://www.nobelprize.org/nobel_prizes/physics/laureates/1951/press.html?print=1. Retrieved 4 April 2012. ^ Lacroix, Angelina (2010-02-10). "The history of the Heineken Cup 1995–2009 – Part 1". European Club Rugby: ercrugby.com. http://www.ercrugby.com/eng/15/12930.php. Retrieved 2011-01-13. ^ FGS Consulting (May 2009). "Review of the Horse and Greyhound Racing Fund" (PDF). Retrieved on 2010-03-29. ^ (1985) "The History and Social Influence of the Potato": 218–219. ^ Garrow, John (March 2002). "Feast and Famine: a History of Food and Nutrition in Ireland 1500–1920". Journal of the Royal Society of Medicine 95 (3): 160–161. DOI:10.1258/jrsm.95.3.160. ISSN 1758-1095. ^ Albertson, Elizabeth (2009). Ireland for Dummies. Hoboken, NJ: Wiley Publishing. p. 34. ISBN 0-470-10572-0. ^ Davenport, Fionn (2008). Ireland. London: Lonely Planet. p. 65. ISBN 1-74104-696-3. ^ Davenport, Fionn; Hughes, Martin (2006). Dublin. London: Lonely Planet. p. 15. ISBN 1-74104-710-2. ^ McCormack, W. J. (2001). The Blackwell Companion to Modern Irish Culture. Oxford: Blackwell. p. 170. ISBN 0-631-16525-8. ^ (1994) "Strategy and Leadership". ^ Blocker, Jack; Fahey, David; Tyrrell, Ian (2003). Alcohol and Temperance in Modern History. Santa Barbara: ABC-CLIO. p. 653. ISBN 1-57607-833-7. ^ Davenport, Fionn (2010). Discover Ireland. London: Lonely Planet. p. 348. ISBN 1-74179-998-8. http://books.google.co.uk/books?id=hhP4ieoRiuIC&pg=PA348. Collins, Neil; Cradden, Terry (2001). Irish Politics Today. Manchester, UK: Manchester University Press. p. 163. ISBN 0-7190-6174-1. http://books.google.com/?id=081Qopn2zbUC. Dooney, Sean; O'Toole, John (1992). Irish Government Today. Dublin: Gill and Macmillan. p. 247. ISBN 0-7171-1703-0. http://www.gillmacmillan.ie/government--politics/government--politics/irish-government-today-3rd-edition. Haigh, A.; Lawton, C. (2007). "Wild mammals of an Irish urban forest". The Irish Naturalists' Journal 28 (10): 395–403. ISSN 0021-1311. O'Croinin, Daibhi (2005). Prehistoric and Early Ireland. Oxford, UK: Oxford University Press. p. 1219. ISBN 0-19-821737-4. http://books.google.com/?id=SJSDj1dDvNUC. Ó Gráda, Cormac (1997). A Rocky Road: The Irish Economy Since the 1920s. Manchester University Press. p. 246. ISBN 0-7190-4584-3. http://books.google.com/?id=zVHgO4-nkhkC. Oppenheimer, Stephen (2006). Origins of the British: A Genetic Detective Story. New York: Carroll & Graf. p. 534. ISBN 0-7867-1890-0. Woodcock, N.H.; Strachan, Robin A. (2000). Geological History of Britain and Ireland. Hoboken, New Jersey: Blackwell Publishing. p. 423. ISBN 0-632-03656-7. http://books.google.com/?id=dTkKn8Ufzd4C. This page uses content from the English language Wikipedia. The original content was at Ireland. The list of authors can be seen in the page history. As with this Familypedia wiki, the content of Wikipedia is available under the Creative Commons License.